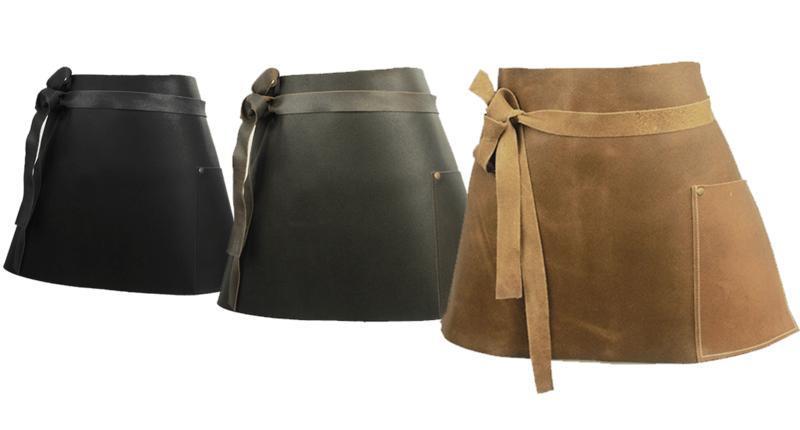 Made in the UK from 100% British Bull Hides. All panels are dye cut then sewn and riveted to ensure consistent quality, strength and longevity. Eco friendly Veg tanned, heat treated to outer side to repel liquids and give smooth finish. Suede finish to inside for wearer comfort. Halters and straps are made from leather and riveted and sewn for extra strength. 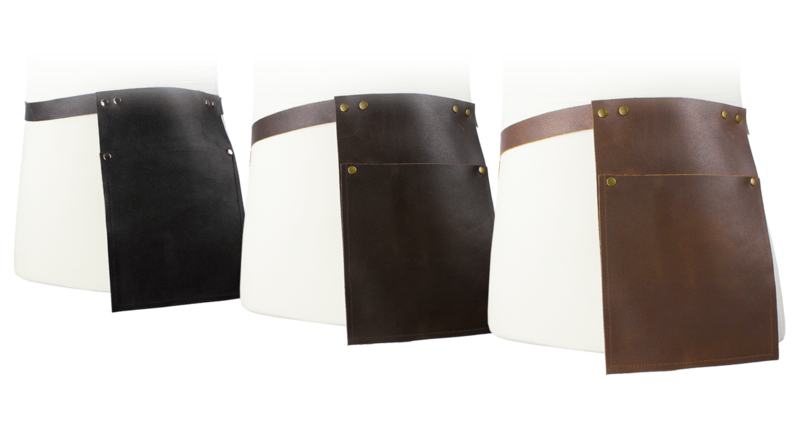 Reinforced pockets are riveted and sewn and designed to accommodate an IPad mini or similar EPOS Tablet. Easy care, wipe clean, no need to wash! 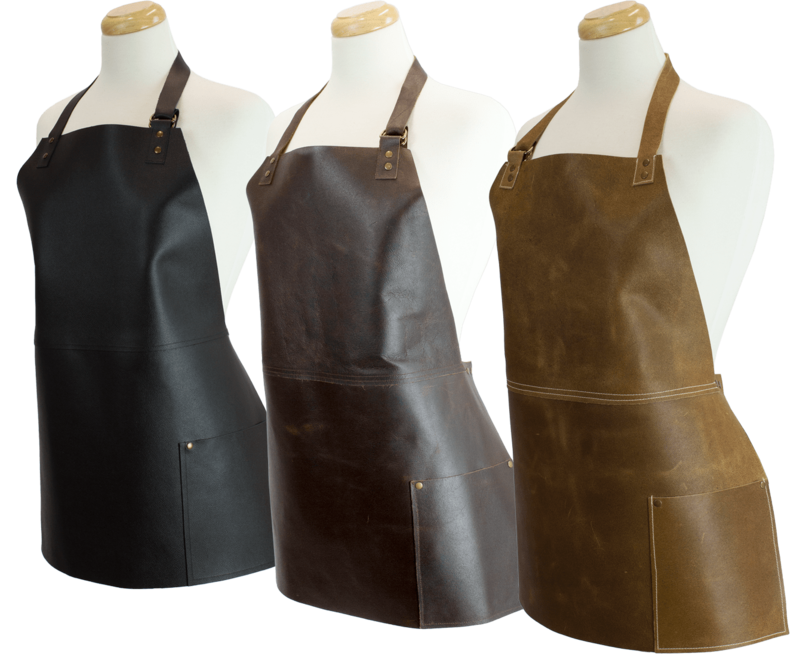 Our leather aprons can be wiped clean with a damp cloth. 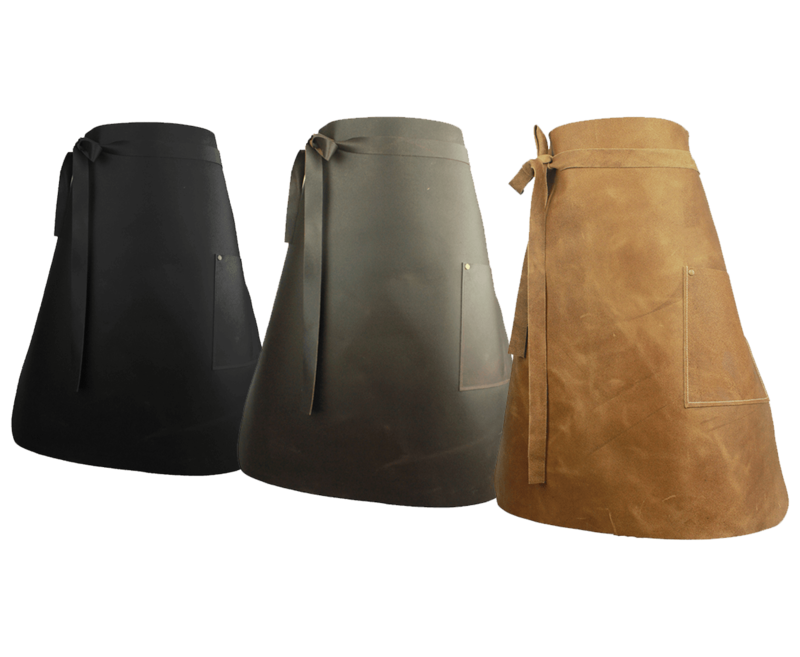 Occasionally after extensive use they can be treated with any leather boot spray to bring back to original form. 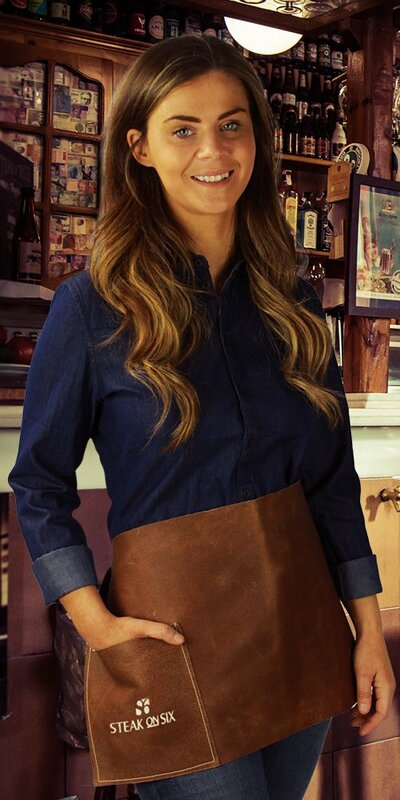 It’s all very well studying these lovely pictures of our leather aprons but there really is no substitute to actually holding the product in your hand. 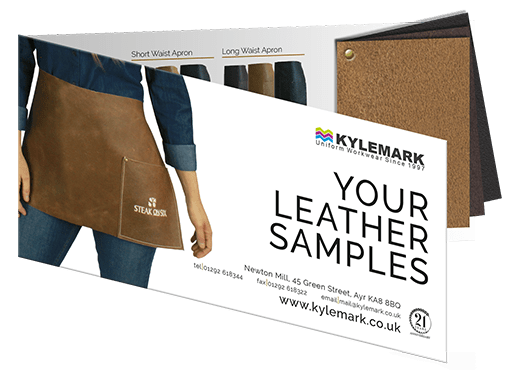 Leather is a very tactile material, pleasing to the touch, and you’ll see with this free sample the quality you’ll eventually receive. 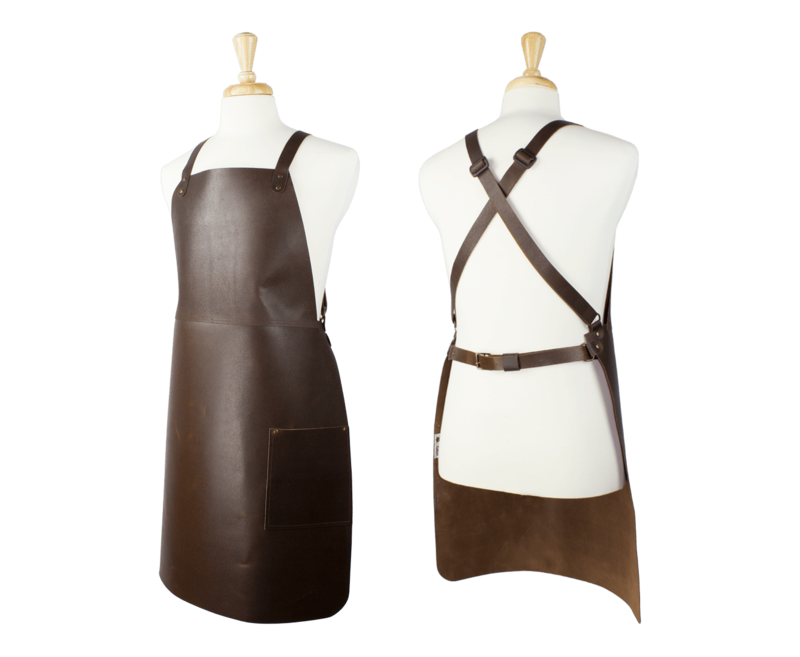 Our Leather Aprons are all hand made at our UK Factory. Choose from the selection of our styles below, or contact us if you would like something bespoke or a little different. Have Your Logo Embroidered or Embossed. 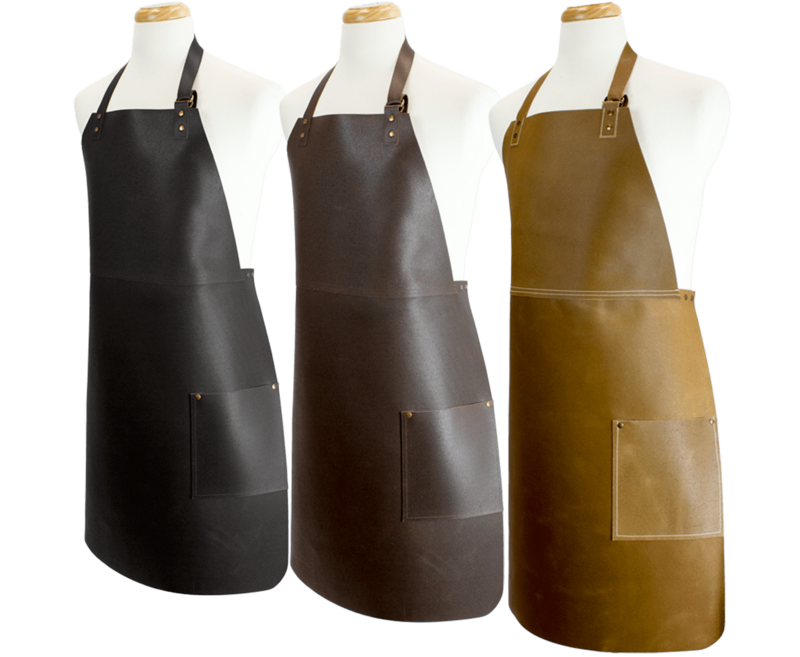 Leather Aprons - Embroidered or Embossed With Your Company Logo or Text in Our UK Factory.